Boeing says that the fire on board one of its 787 Dreamliner test aircraft started in its P100 power panel and spread into one of the aircraft’s insulation blankets which self-extinguished the fire once the fault in the power panel was cleared. 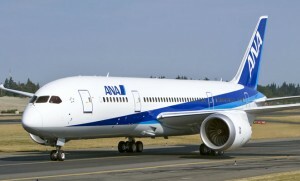 The P100 panel receives power from the 787’s left engine and distributes it to an array of other systems. In the event of a failure, power from the right engine and the ram air turbine are engaged to provide backup power, which in this case allowed the aircraft to make a safe landing. “We continue to evaluate data to understand this incident. At the same time, we are working through a repair plan. In addition, we are determining the appropriate steps required to return the rest of the flight test fleet to flying status,” Boeing said. Boeing says that it will continue to provide updates on the investigation into the fire, but has not yet said if it expects the event to delay certification or first delivery of the aircraft.